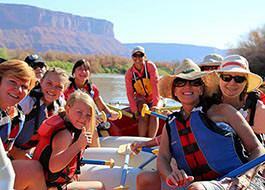 The Best Guided Rafting Trips in Moab, Utah! 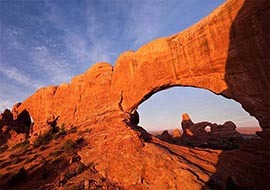 Experience the "Best Guided Moab Rafting Trips" in Moab, Utah. 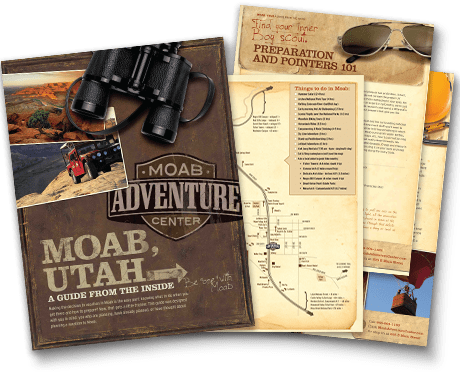 This is a "must-do adventure" while in Moab. On our full-day and half-day river rafting adventures, you'll experience a world-renowned stretch of the Colorado River, winding through scenes made famous by dozens of popular movies. 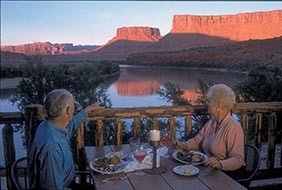 On select trips, you'll savor Moab Adventure Center's exclusive BBQ lunch at a riverside ranch!  On our longer overnight rafting trips, you'll experience our all-inclusive service that will likely cause an addiction to rafting. 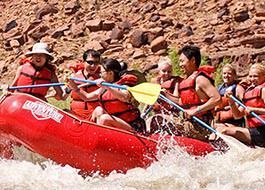 Moab rafting trips are perfect for couples, families, groups of friends or solo travelers. All trips include Moab Adventure Center's signature insulated, flip-top water bottle (a $20 value)! Sample the beauty and excitement of the full-day trip with this morning half-day adventure on mild to moderate whitewater. Raft Fisher Towers to above Rocky Rapid. 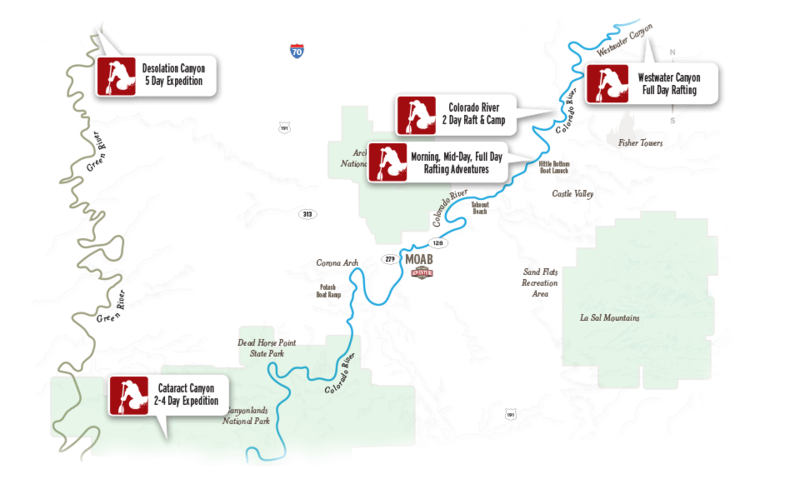 Raft the Colorado River from above Rocky Rapid to the BLM takeout on our PM half-day trip. 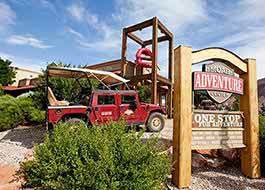 Enjoy an exclusive hot barbeque lunch and mild to moderate whitewater. 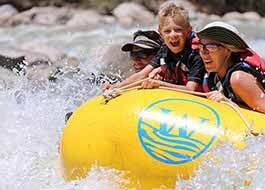 Winding through a remarkable wilderness of twisted mountains, dramatic cliffs, and towering plateaus carved by an ancient inland sea, the Green River through Desolation Canyon offers one of America’s favorite rafting trips. 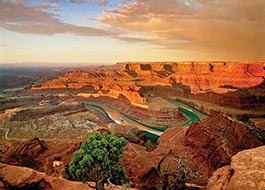 Experience the absolute "Best Guided Moab Rafting Trips" on the Colorado River. 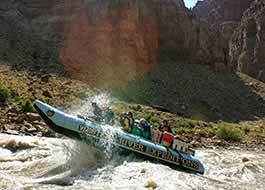 Rafting the mighty Colorado River you can experience a wonderful stretch of whitewater and famous red rock canyons. 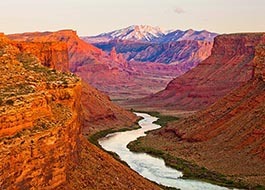 The trips are all easily accessible from Moab, Utah; rafting trips available to enjoy no matter how much time you have -- from half-day and full-day rafting trips to multi-day rafting trips. 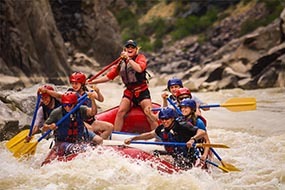 Moab rafting trips are perfect river trips for families or groups of friends. Before rubber rafts, when wooden hulls were shaped for straight lines across lakes, not rivers, a man named Powell dared to explore the last unmapped and unknown rivers and canyons of the west. That placed him squarely in Utah, in 1869. They were successful, proving that "running rivers" could be done in the deepest canyons, and wildest water in North America. It took another 50 years before Bus Hatch and his family near Vernal, Utah began taking boats - and then boat-loads of friends - down the Green River, just for the heck of it. Norm Nevills in Mexican Hat, Utah gave his horse trough a float down the San Juan River on his honeymoon... and started one of the first commercial operations after designing his own wooden boats. By the 1960's surplus army rubber pontoons changed the industry forever, the rest is even more history. Utah truly is the birthplace of the modern river running industry. Learn more about the history of river running in the John Wesley Powell River History Museum, located in Green River, Utah.